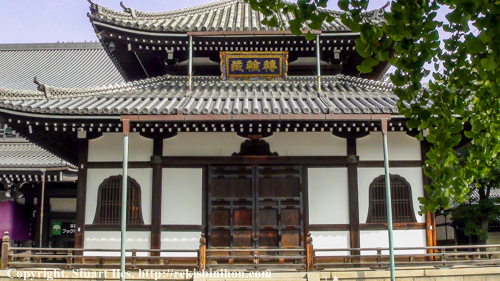 Nishi Honganji is the mother temple for the Jodo Shinshu sect of Japanese Buddhism established by Shinran Shonan who lived between 1173 to 1263. 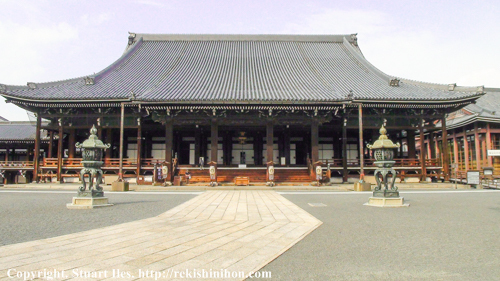 The temple has its origins in the Eastern hills of Kyoto, where Shinran’s mausoleum is currently located. The sect has an interesting history and the current site has been occupied since 1591. 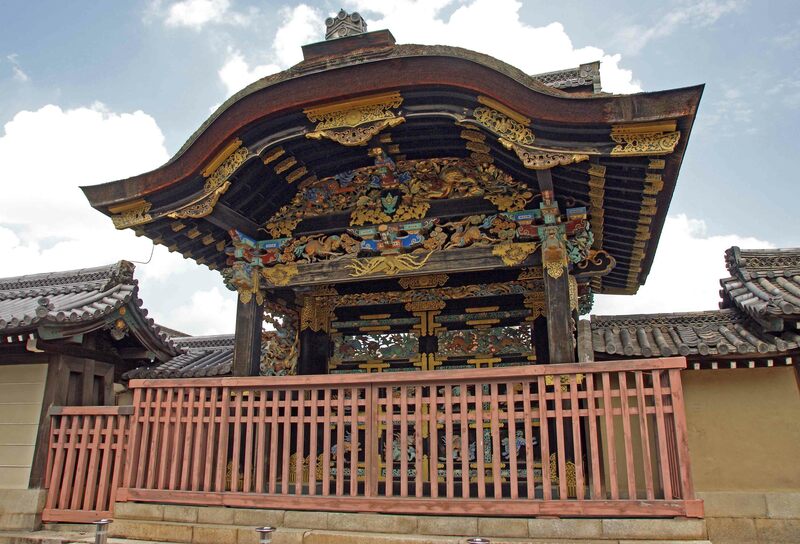 The huge Honganji temple complex in Osaka, which sat on the site of Osaka Castle now was destroyed by Oda Nobunaga in the 1580s due to the interference of the Jodo sect on political matters in Kyoto. Probably most famous are the warrior monks that defended Mt Hiei and the Osaka temple. After Nobunaga’s death, his successor Hideyoshi allowed the monks to rebuild in Kyoto and he used the destroyed site to build Osaka castle. 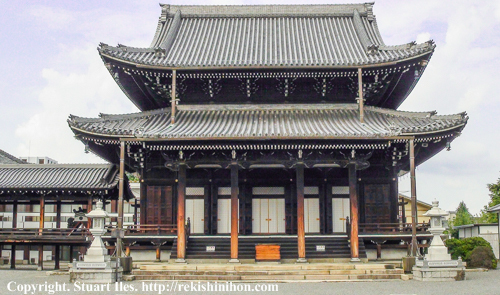 The oldest know building on the current site in Kyoto is the Karamon gate, built in 1573. If this date is correct it confirms that the Jodo sect already had a small temple in Kyoto before the move due to the main Osaka temple complex being destroyed. The new site however was not official recognised until 1591 after Hideyoshi donated land to the Jodo sect in Kyoto, the current site of the temple. In 1602 Ieyasu Tokugawa split the sect due to its increasing popularity and gain of power once again. Tokugawa divided the Jodo sect in to into the Nishi and Higashi Honganji as we see it today. Buildings throughout the complex have come and gone, mostly due to earthquakes and fire. The two main buildings we see today, the Goeido was built in 1636 and the Amidado was built in 1760. 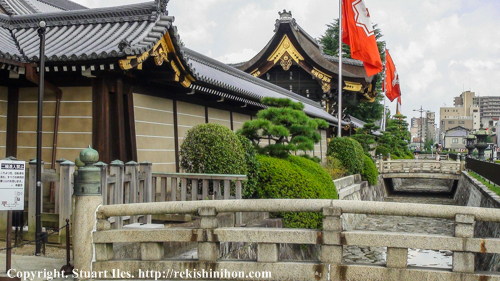 At the rear of the complex sits the Ryukoku University which has its origins back to 1639 making it one of the oldest educational institutions in Japan. Text and photos by Stuart. 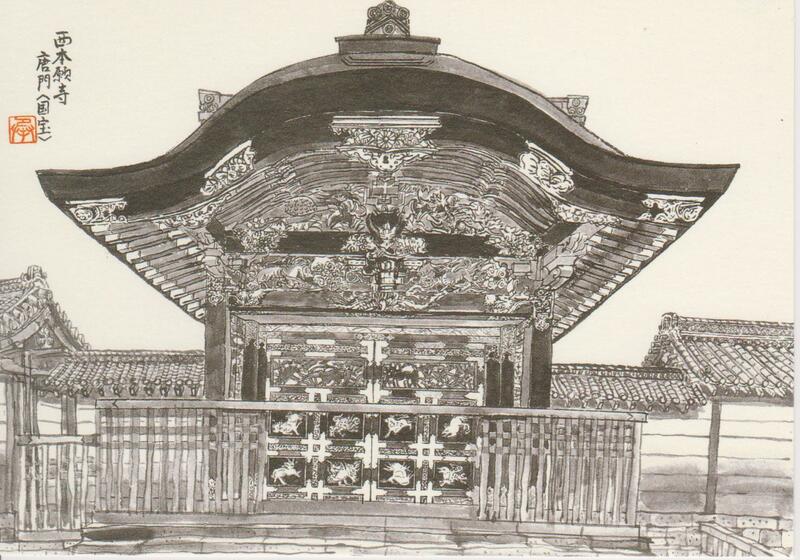 Next Post Kyoto, Meiji Period print.